Thomas D. Wood Jr. founded Thomas D. Wood and Company in 1987 with his father, Thomas D. Wood Sr. Thomas D. Wood Jr., is the President of Thomas D. Wood and Company where he oversees all aspects of loan production, loan servicing, correspondent relationships, and management. Mr. Wood has secured over 4 billion dollars in loan closings , and continues to actively originate and structure commercial transactions throughout the State of Florida as well as across the country. In 2005 Mr. Wood and his partners purchased Colliers International South Florida, where Mr. Wood served as the Chief Operating Officer. The company was sold to Avison and Young in 2015. 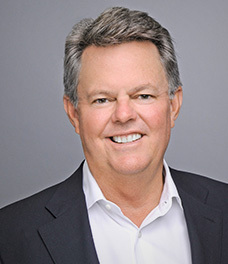 Mr. Wood has served on the MBA Commercial Board of Governors (COMBOG) since 2016 and has been a member of the Mortgage Bankers Association since 1988. Additionally, he is involved in many civic and local organizations. Mr. Wood served as President of the Orange Bowl Committee in 2007-2008 and has been a member of the committee since 1995. Since 2014, he has served on the board for Big Brothers Big Sisters of Miami. Mr. Wood graduated from Clemson University in 1983 with a Bachelor of Science in Administrative Management. In 1984, he earned his Masters of Science in Management with a concentration in Finance from Florida International University.